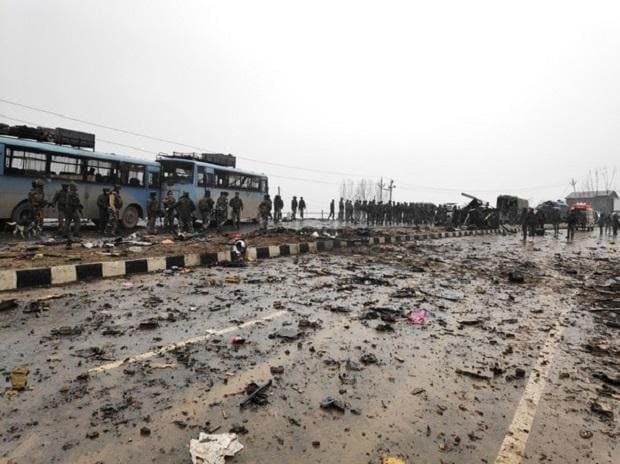 The curfew in Jammu city continued for the second day Saturday and the Army staged flag marches in sensitive localities, a day after violence was reported during protests against the Pulwama terror attack in which 40 security men were killed, officials said. "The curfew is being implemented strictly and there is no report of any untoward incident from anywhere," Deputy Inspector General of Police, Jammu-Samba-Kathua range, Vivek Gupta told PTI. Deputy Commissioner (Jammu) Ramesh Kumar said authorities were monitoring the situation and a decision to relax the curfew, which was imposed Friday, would be taken later in the day. Nine people, including some policemen, were injured in stone-pelting incidents on Friday and a number of vehicle were torched and damaged. The JCCI termed the violence "unfortunate" and said, "We shall not allow miscreants to disturb the brotherhood and peace in Jammu where all the religions have coexisted." It said the bandh would not be extended. Spokesperson of the Jammu university Vinay Thusoo said that all examinations, theory and practical, to be conducted on Saturday were postponed due to unavoidable circumstances. Inspector General of Police,(Jammu) M K Sinha appealed to the people not to play into the hands of anti-national elements who want to disturb the societal harmony. A police official said high-speed mobile data services were barred in Jammu region, while the BSNL broadband service was functioning normally.